Leopard in the workplace, or any place for that matter, can be tricky to incorporate at times. Is it too much? Which piece do I choose? What do I wear with it? Let me help you take the guesswork out of it! 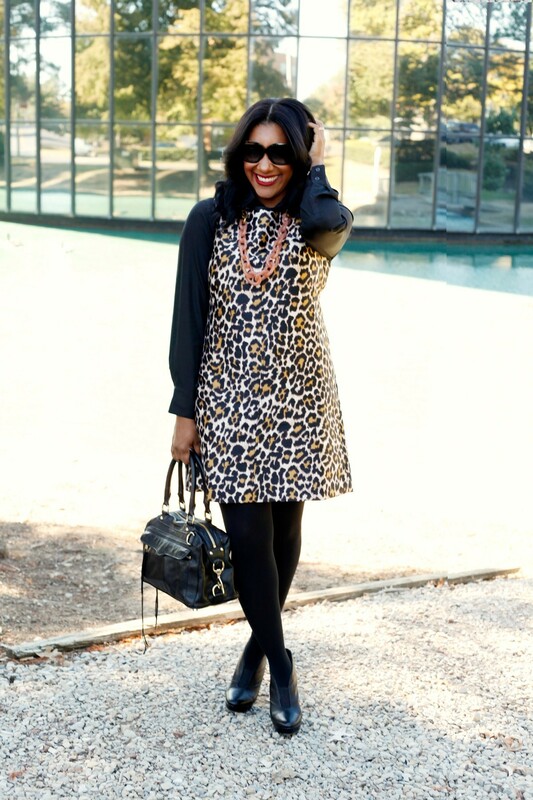 Leopard is a neutral and CAN be worn with many, many other pieces. However, it SHOULD only be worn one piece at a time as a statement or accent, according to me AND the fashion experts. So that means no leopard blouse and shoes and belt and…you get the point. In this case, my one piece was this statement making shift dress. 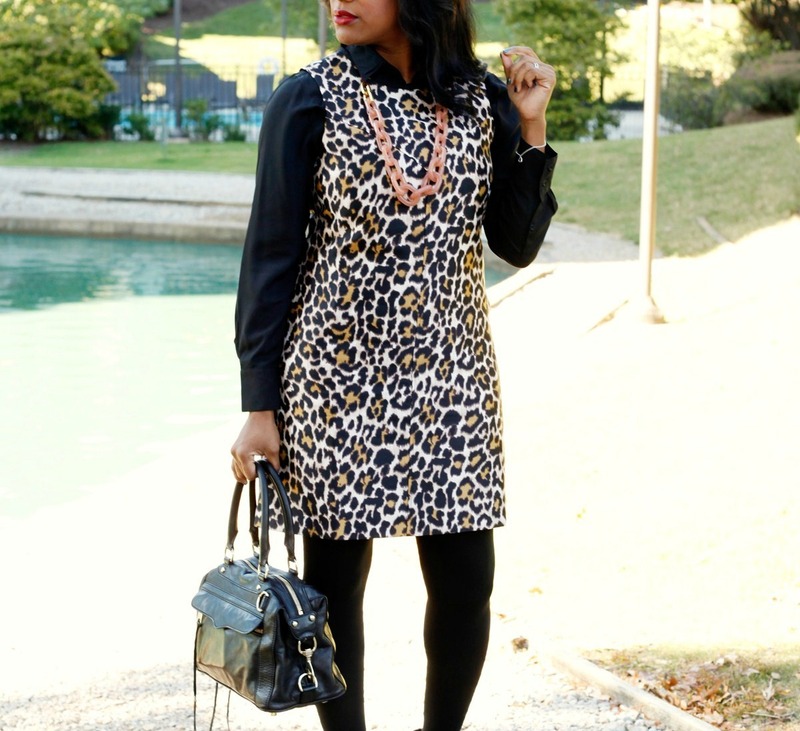 Shift dresses are awesome for work because they’re simple, easy to accessorize, and most importantly, comfortable. I chose all black everything essentials and a fierce red lip. 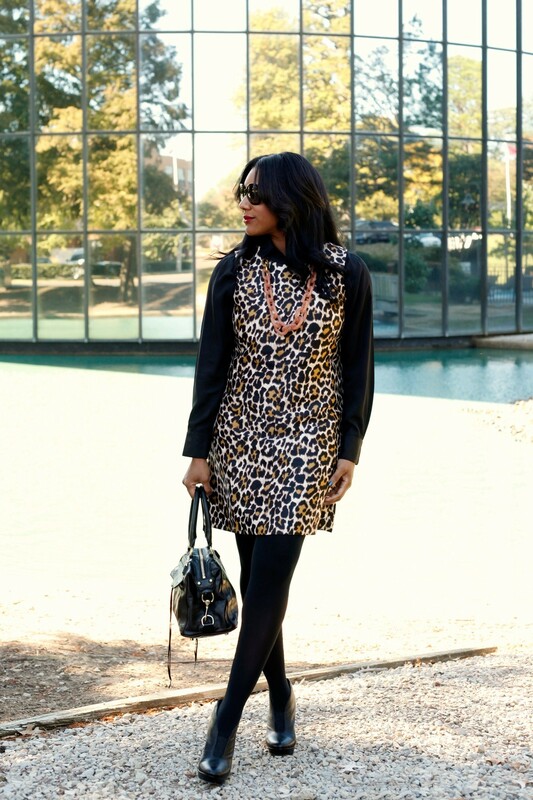 Leopard, black, and red are as classic as LBDs and pearls. The necklace was the perfect non-matchy accent that I thought was cool, so I threw it on and was off to werk! Oh and yes, flats were in tow! According to Q, leopard absolutely can have its place at the office when thoughtfully executed (as Tim Gunn says). 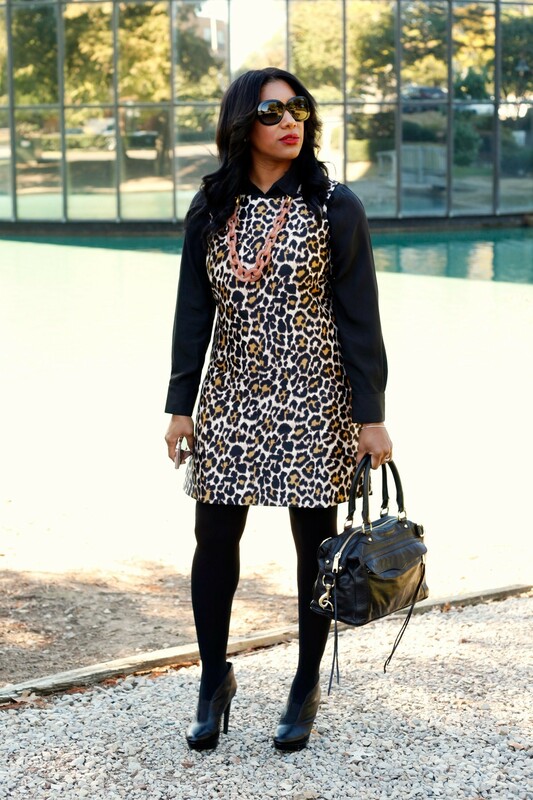 By adding black and red, the result is instant chic and you, too, can werk leopard at work. 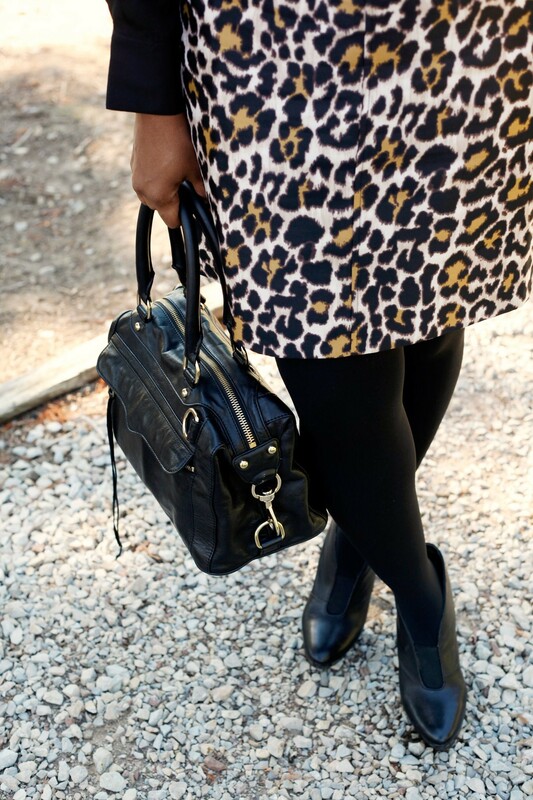 Cheers to leopard as a neutral AND as a statement!